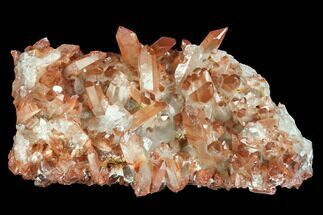 This is a gorgeous specimen of iron-oxide (hematite) coated quartz, collected in Morocco. 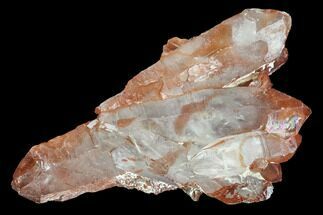 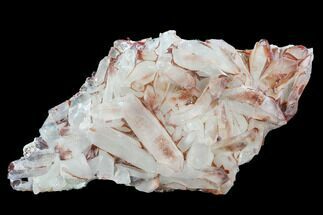 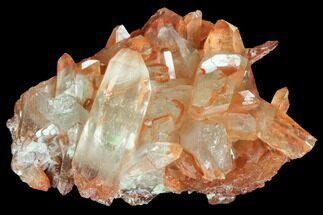 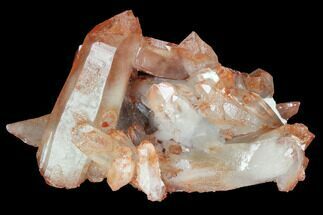 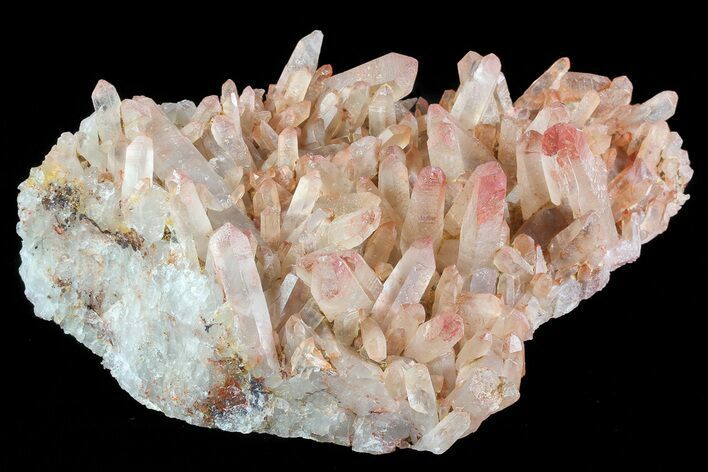 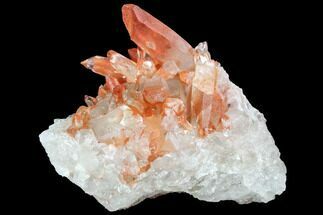 This cluster is 5.5" wide, and the crystals display rich red-orange coloring. 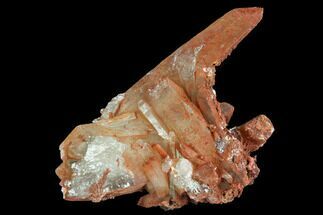 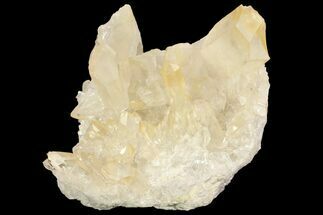 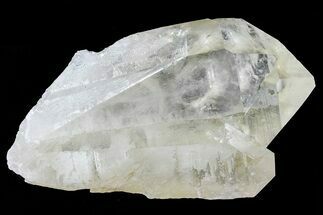 The coloration is natural and due to iron oxidation both outside, and included within the crystals.